Tree fruits include Pomes (Crop Group 11) and Stone fruits (Crop Group 12); grown mostly in the Hill Country. Asterisks indicate representative crop for the Group. 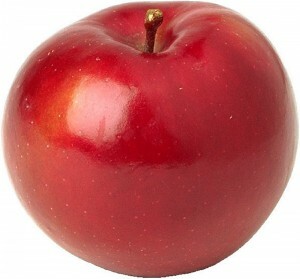 Apples*. 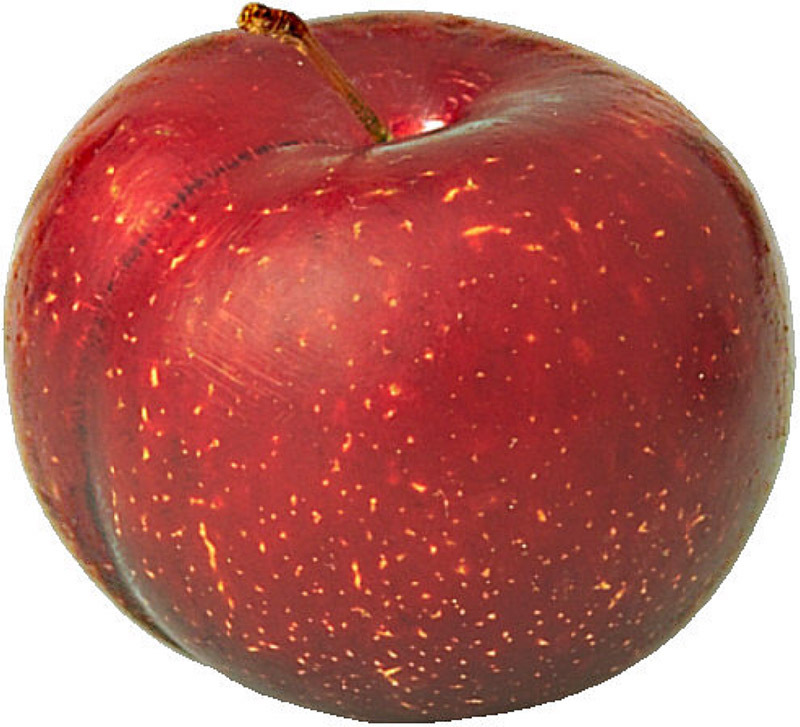 Apples are the most important temperate zone tree fruit in the U.S.; however, hail, weather, and diseases limit production in Texas. Plantings in the Hill Country region are generally for roadside sale along with peaches. A few commercial orchards in High Plains; some in ultra-high density plantings. Insect pests include leafrollers, codling moth, and miners plus several others attacking blooms, fruits, and foliage. Weeds handled by limited tillage and glyphosate. Diseases include fire blight, apple blotch, bitter rot, black rot, bot rot, cotton root rot, and cedar apple rust. Mayhaw. Grown commercially in East Texas for its small, red to yellow, acid fruit. Berries harvested for jams, jellies, herbal teas, and homeopathic medicinals. Wood is used in exotic woodworking projects. Diseases include mayhaw rust and fire blight. 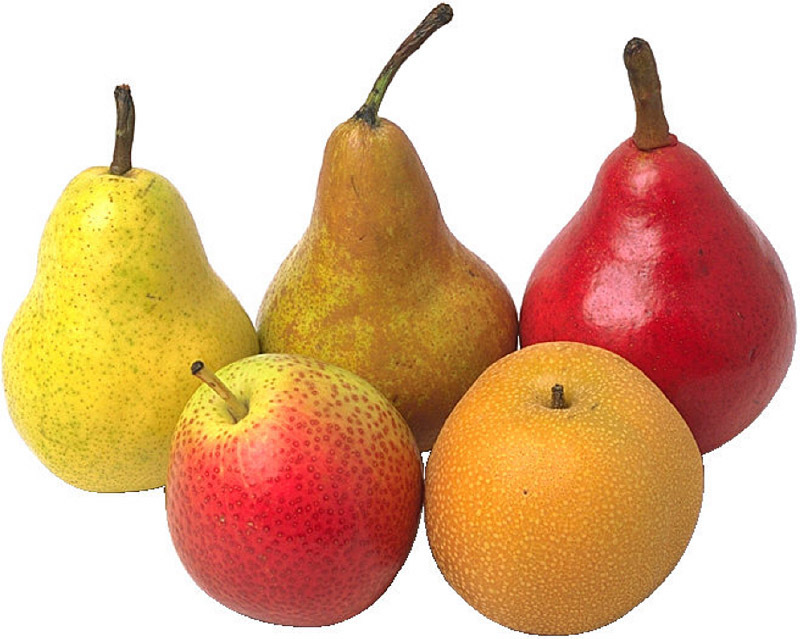 Pears*. Grown in small plantings in association with other tree crops for roadside sales. Some estimates exceed 700 acres. Must be hand-harvested before ripening. Insect pests include codling moth, stink bug, leafrollers, and pear pyslla. Diseases include quince rust, fire blight, several fruit rots, pear scab, and stony pit. Apricot. Tend to bloom early so unpredictable frosts limit production to a few plantings in association with peach and plum orchards, self-pick, or ornamental backyard plantings. Insect pests include stink bugs and mites. Diseases are similar to peach and include plum circulio and brown rot. Cherries*. Black, sweet, tart cherries are grown commercially in northern and Pacific Northwest states but no commercial production in Texas. Some backyard production (35 acres) and medicinal use of bark by herbalists. 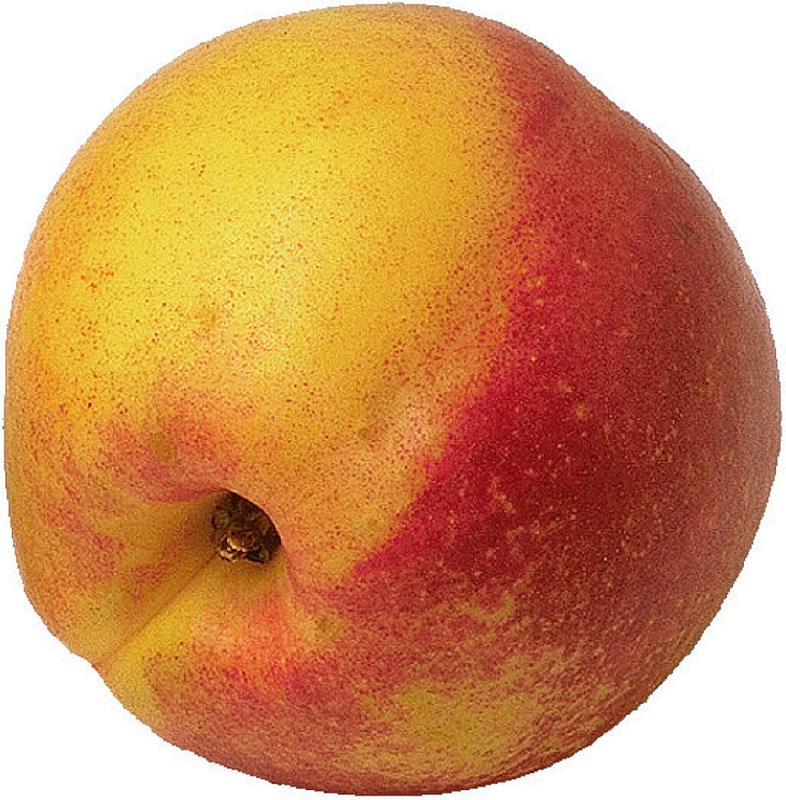 Nectarine. Originated as a mutant from peach with smooth skin. Seed is freestone or clingstone (where pit adheres to flesh). Susceptible to brown rot. Pests similar to those of peach. Peach*. 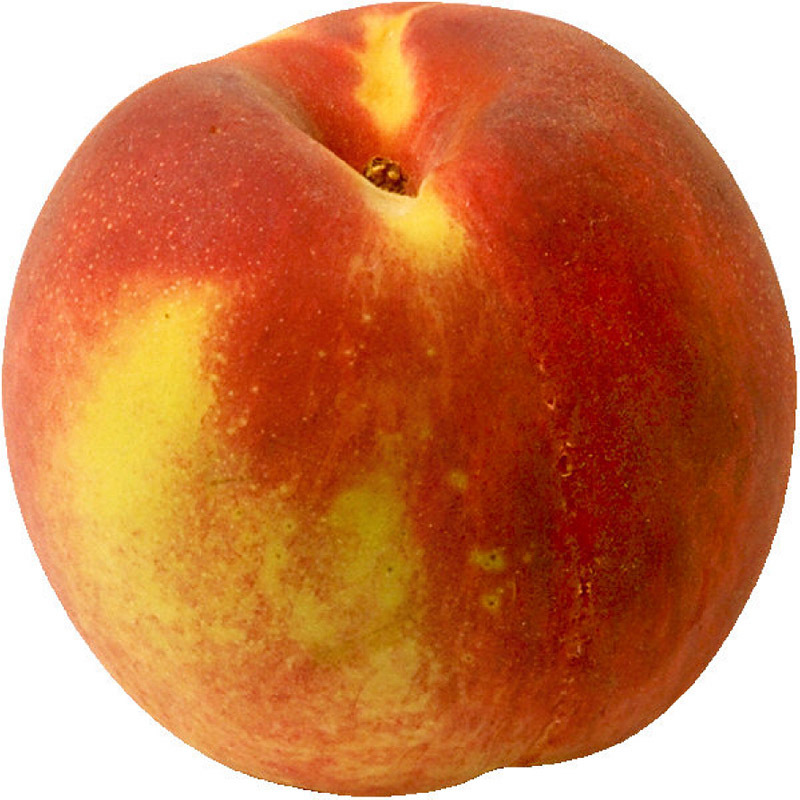 Texas harvests 23 million pounds of peaches annually from 4,000 to 6,000 acres in Hill and Gillespie counties, East Texas (Tyler), and North and Central Texas (Montague and Weatherford). All production is for fresh market in-state sales; 72% are freestone. Problems include late spring freezes and a demanding spray schedule for pest protection. Post harvest rots limit shelf-life. Smaller acreages of other tree fruits are grown with peaches for diversity at roadside markets. Drip irrigation is common. Insect pests include borers, fruit flies, plant bugs, stinkbugs, plum circulio, and others. Annual and perennial weeds handled by tillage, mowed orchard floors, and glyphosate. Diseases include brown rot, bacterial stem canker, peach scab, bacterial leaf spot, peach mosaic, root knot nematodes, cotton root rot, rust, peach leaf curl, and post harvest soft rot. Persimmon. Wild types have small, bitter fruit unless the fruit is picked when it is completely ripe (soft and mushy in texture). Improved varieties (both American and Asian types) have 3 to 4 inch fruit. Usually planted for sales along with other tree fruits. Some estimates of 300 acres. Produced in various regions including the Stephenville area and north of Houston. Naturally resistant to most pests and diseases but psyllid is a problem. Plums. Clingstone types are commercially produced in association with peaches for early roadside sales. Some estimates of 250 acres. Pests similar to those of peach; plus plum pockets and virus complex.